The test was aimed at validating various parameters, including propulsion performance of the weapon system and its killing capability. 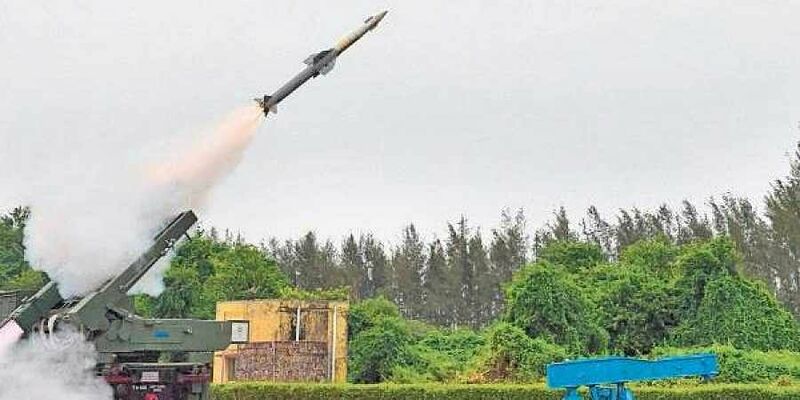 BHUBANESWAR: The Defence Research and Development Organisation (DRDO) test-fired short range Quick Reaction Surface to Air Missile (QRSAM) from a test facility off Odisha coast. Sources said the sleek and highly mobile air defence system was fired from a canister mounted on a rotatable truck-based launch unit from Integrated Test Range (ITR) on Monday. “The test was aimed at validating various parameters, including propulsion performance of the weapon system and its killing capability. Data generated during the test are being analysed,” said a defence official. The missile, which can destroy multiple targets at a distance of 15 km, will supplement the medium range surface-to-air missile Akash capable of hitting targets 30 km away. Radars, electro optical systems, telemetry systems and other tracking stations have tracked the trajectory of the weapon and monitored all the parameters. The state-of-the-art missile developed by the Defence Research and Development Laboratory (DRDL) can be used as an anti-sea skimmer from a ship against low flying attacking missiles. It employs dual thrust propulsion stage using high-energy solid propellant. Its electronic counter measures helps to outsmart aircraft jammers. “As the missile has multi-role capability and can attain high frequency with maneuverability, it will provide considerable advantage to the Armed Forces. With cent per cent kill probability it can destroy aerial targets like fighter jets, cruise missiles and air-to-surface missiles as well as short range ballistic missiles,” the official added. The missile, which is yet to get a formal name, is a new development of DRDO. It has to undergo several rounds of experimental trials before being inducted in the Armed Forces.